NY Trendy Moms: I Woke Up Like This! I'm currently loving the Boohoo.com lingerie and nightwear selections. 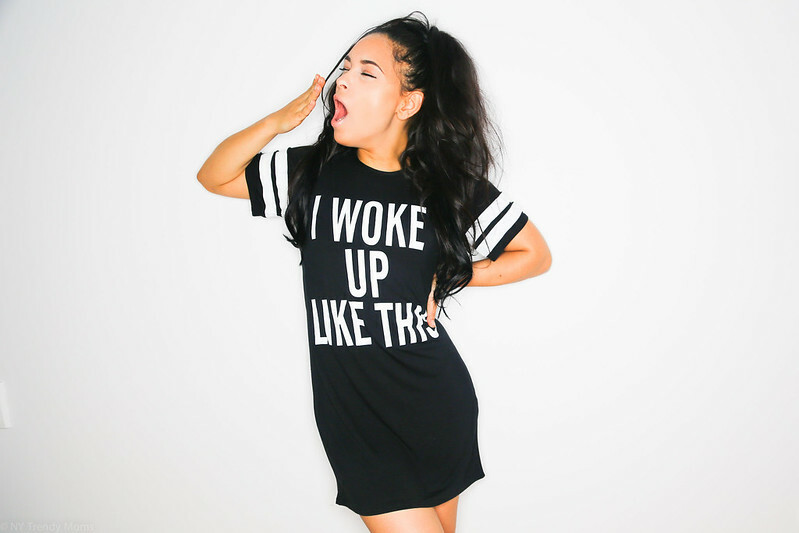 This ' I Woke Up Like This ' oversized tee shirt dress was just one of my favorites! It's cozy, cute and affordable. Make sure to checkout their selections and pick out a little something special ;). Actualmente estoy obsesionada con ropa de dormir y me encantan las selecciones de Boohoo.com. Hay muchas opciones casuales y provocativas. Algo para todas, vean aquí.